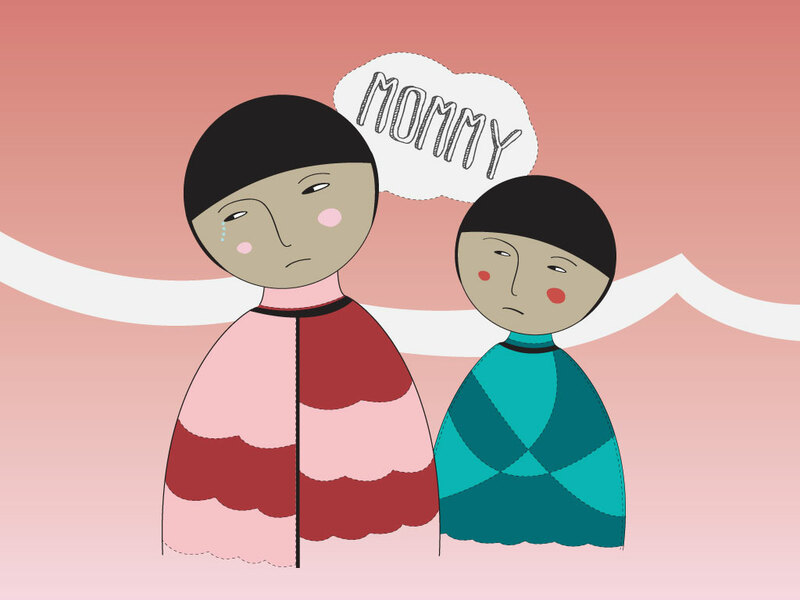 Download this stylized cartoon by Wenya of crying mother and child with speech balloon saying "Mommy". A symbolic and artistic illustration for your designs with an emotional edge. Tags: Cartoon, Child, Mommy, Mother, Sadness, Somber, Unhappy.